Online poker is a thrilling way to make a bit of extra money if you know what you’re doing. As a beginner, it is very easy to make mistakes and make your bankroll disappear very quickly. The key to being successful at online poker, is strategy and tactics. This article will provide tips to help you develop the best beginner poker strategy. If you’re a beginner poker player, you’ll want to be tight with your bankroll. This is necessary if you want to profit from poker games in future, often with online poker you’ve got to think of the bigger picture. Although some just want a quick win, for consistent wins and profit, you’ll want think carefully about which hands you play. Knowing which hands to fold before the flop will keep your bankroll in check and make your overall play more profitable. As a general rule, you should only consider playing with a pair in your hand, at least one A,K,Q,J, or suited connectors with a higher chance of landing a flush or straight. An example of suited connectors would be having the 4 and 5 of hearts, or the 8 and 9 of clubs, two cards in numerical order of the same suit. If you want to succeed at online poker, you will usually need to be aggressive with your hands. This means if you do decide to play, you should always raise when your turn comes around. Generally a raise that is approximately 3 times the amount of the big blind is sufficient to help you gain control of the pot. Having the betting lead helps your chances of winning the pot, and if you are consistent in your approach you will wean out any bluffers before the final bet. 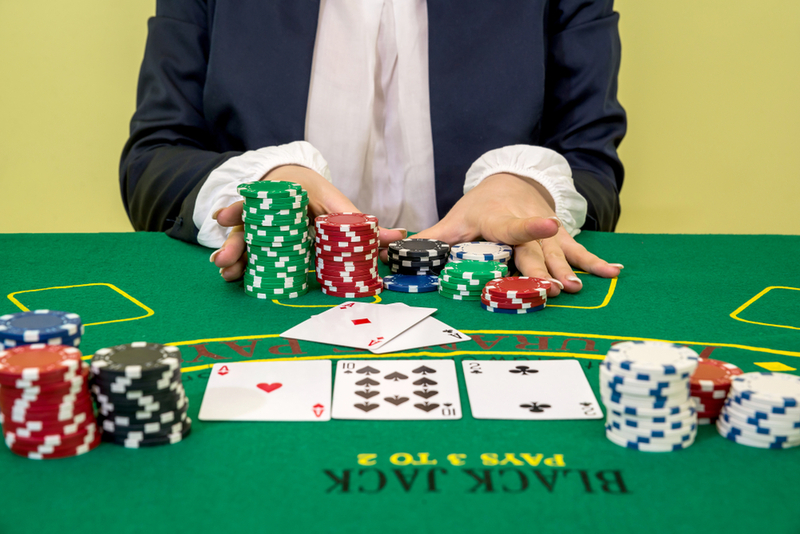 A key part in an online poker strategy for beginners is avoiding the urge to bluff too much. Although bluffing is a large part of poker, as a beginner you should keep your bluffing to a minimum. The reason for this is simply that any weaker players on the table without a lot of poker knowledge will probably call any bet even with weak hands. However, although their hands may be weak, if you are bluffing and you have an even weaker hand, then they will win the pot. If you have raised before the flop, it is generally ok to bet again on the flop. You should however, consider slowing down on the turn and the river if you have a very weak hand. Too often, new players will go into a poker table ‘all guns blazing’, and end up losing their entire bankroll. The key to success in online poker is good bankroll management. Generally, it is a good idea to have around 20 times the buy in for any table that you choose to play on. This means if the buy in for the table is £20 then you should have £400 in your bankroll. The reason for this being that poker games can have a lot of up and down moments, if you don’t have a sufficient bankroll to support this then your funds can easily deplete. Be aware that you can often win or lose up to five times the buy in during each poker session, so having the bankroll to support this is vital. Before you dive head first into a poker game as a beginner, do your research. This is paramount if you want to be a good poker player and make a profit. Familiarise yourself with the poker hand rankings, and if you don’t feel confident playing with real money, then play on a table that uses free chips while you are building up your skills. When you feel comfortable to play for real money, you should start on a table with very low stakes. You can usually find online poker tables with blinds of £0.05/£0.10, as a beginner player, it’s usually best to start this low, unless you feel confident enough to move to a higher stakes table. Another tip is to avoid playing on multiple tables, many online poker players like to play on two or three tables at a time, but this isn’t recommended as it can seriously affect your gameplay. Playing on multiple tables means that there is a lot to concentrate on, and will often lead to you making bad decisions. Another key tip is to be aware of the other players on the table. This means not only being aware of how they are playing but also being aware of how many opponents you have. Always look out for signs of bluffing, one way of gauging this is to keep track of the hands your opponents play through to the end of a round and are revealed in the showdown. Take care however, not to neglect calculating the odds of your hands against the number of players you are playing against. For example, if you are playing on a table of five people, then you have four opponents, depending on who folds and who stays in each round, the value of your hand will change. Always be aware that the more players there are, the worse your chances are of having the winning hand. It is very tempting in poker to wait out for a good hand. For example, your hand may consist of three heart cards but you’re only on the flop, meaning to make a flush you will need the turn and the river cards to also be hearts, but this can go one of two ways. Many players will continue to call bets on the flop and the turn waiting for this kind of hand, but the chances of this happening are slim. Basically, don’t call too many bets without a good hand with the hope that the community cards will be the ones that you need. This is a bad way of playing and can bleed your money dry very quickly.